A complete nutritional balancing program easily corrects most hypothyroid conditions, such as Hashimoto’s autoimmune thyroiditis, and others. It does this by renourishing and balancing the body chemistry, and by removing bromine, chlorine, fluoride, copper and mercury from the thyroid gland, which are poisoning it. However, most doctors, including holistic and naturopathic doctors, don’t believe this is possible, so they tell people they must continue taking thyroid replacement hormones for life. This causes extreme confusion for our clients. The best procedure is usually to slowly decrease the thyroid replacement hormones as the thyroid activity improves. A few cases are more complex and take more time. Blood tests for thyroid hormones are often confusing and scary when one is on a nutritional balancing program because the tests vary each day as the thyroid gland is in the process of improving. This often scares physicians, who then scare the patients. In this situation, I find that symptoms are often a better guide than these tests. By using a complete nutritional balancing program, hundreds of people have been able to quit taking thyroid replacement hormones. In fact, in almost all cases, these hormones are not needed, unless the thyroid gland has been surgically removed or destroyed with radioactive iodine therapy or RAI. In these cases, replacement hormones are needed. Caution: Before you stop any medication, I suggest checking with the prescribing physician. However, most doctors and natural practitioners do not understand that if one rebuilds and balances the body, then in almost all cases the thyroid gland will begin to function normally and replacement hormones will not be needed, at any age. This applies to the synthetic hormones such as Synthroid or levothyroxine. It also applies to the use of natural replacement hormones such as Naturethroid and Armour thyroid. HOW IS IT POSSIBLE TO QUIT THYROID HORMONES WHEN MOST DOCTORS, EVEN HOLISTIC ONES, SAY YOU MUST TAKE THEM? Nutritional balancing, unlike remedy methods used by most all other doctors, removes the iodine antagonists (fluorine, bromine and chlorine), and removes copper and mercury as well, from the thyroid gland. When this is done properly, and the body brought to balance, the thyroid begins to function normally. Conditions such as hypothyroidism and Hashimoto’s thyroiditis go away by themselves, and replacement hormones are not needed. Do not stop thyroid medication immediately when starting a nutritional balancing program. Wait at least one month or more, depending upon how much of the program you are doing. When reducing or stopping thyroid replacement hormones, some people experience no symptoms at all. Others, however, will notice some fatigue, muscle cramps, swelling of the thyroid gland which feels like a lump in the throat, and rarely dry skin or falling hair. Other symptoms occur in a few cases. Following your nutritional balancing program perfectly helps avoid these symptoms. If they occur and are mild, just relax and usually they will pass in a few weeks or less. You can increase the dosage of Thyro-complex and Megapan. You can take up to double the dosage of Thyro-complex and Megapan. Sometimes, this reduces the symptoms. If the suggestion above does not work, it is possible that you have reduced or quit your thyroid replacement hormones too soon. If symptoms persist and are extreme, then I suggest going back on thyroid replacement hormones, or increasing the dosage a little for another few months, perhaps. 1. Wait to reduce hormones until you have been on a complete nutritional balancing program for at least one month or more. 2. Some people can quit all their thyroid replacement hormones at once, while others must reduce them slowly. Some people report that their thyroid medication does very little. They can often stop the medication quickly, and all at once. Others report they feel tired, achy, crampy or other problems if they reduce their thyroid medication. These people should reduce their thyroid supplements slowly. 4. Taking more TMG (trimethylglycine) may reduce symptoms in some people. You may increase the TMG up to twice the recommended amount safely until symptoms pass. WHY BOTHER QUITTING THYROID HORMONES IF THEY SEEM TO WORK AND ARE NOT BOTHERING A PERSON? This is an important question. The reason is that all hormone replacement therapy is quite unnatural, and interferes with deeper healing and mental development, in our experience. 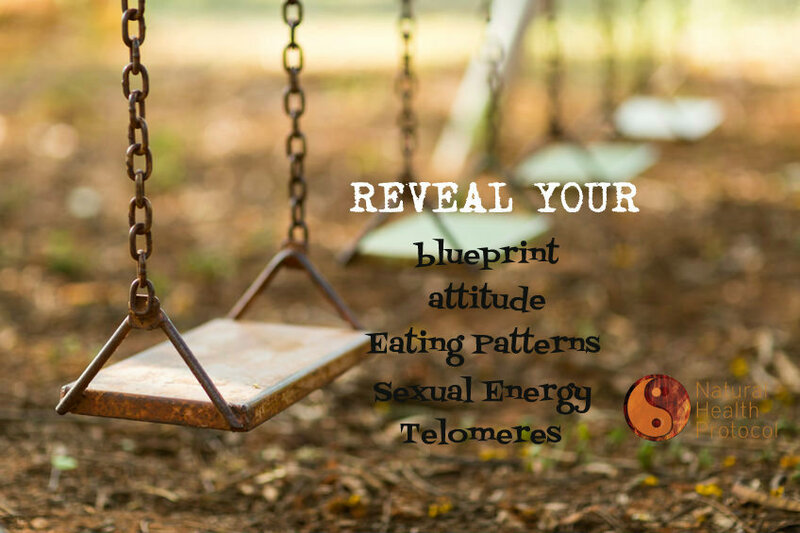 Hormones are designed to be secreted from within the body, and the amount varies from moment to moment based upon the body’s needs, stress, and other factors. When one takes them as pills or patches, or other methods, it prevents the body from responding properly to its environment and locks the body into one type of response that is always inappropriate. This seems to be why it slows and may halt deeper healing of the body. This has to do with chaos theory, which teaches that a complex, self-regulating system such as our bodies must be able to respond in a flexible and instantaneous way in order to function optimally. WHAT WILL HAPPEN TO THE T3, T4, TSH AND OTHER SERUM TEST RESULTS IF ONE QUITS THYROID HORMONES? 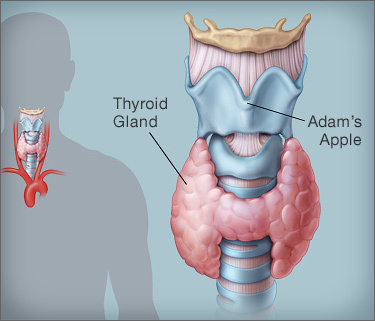 Serum thyroid tests will vary significantly, depending upon the oxidation rate, the mineral ratios, and which toxins are being eliminated due to the program. A nutritional balancing program often upsets serum thyroid hormone tests temporarily. Abnormal thyroid tests usually upset the patient and often the doctor. The upset is needless, in my experience. The tests will normalize on their own as body chemistry improves and when healing reactions pass. When doctors see imbalanced serum thyroid tests, they are trained to recommend thyroid hormone replacement. In my experience, this is not appropriate provided one is following a complete nutritional balancing program. Therefore, the patient often receives incorrect advice that is confusing and, if followed, interferes with deep healing and slows one progress on a nutritional balancing program. I know this is a difficult issue for some people who are accustomed to having regular blood serum thyroid tests. It is also very confusing for physicians who depend on these tests. However, it is our continuing experience with these common tests. CAN YOU TELL HOW THE THYROID IS DOING FROM A HAIR MINERAL TEST? Dr. Paul Eck identified a thyroid ratio – the calcium/potassium ratio on a hair mineral test. The ideal is about 4:1. As body chemistry improves, the calcium/potassium ratio will begin to approach a ratio of 4:1. However, do not be upset if the ratio varies from test to test. This is normal. The elimination of toxic metals, infections and toxic chemicals will affect the ratio greatly. The levels and ratios affecting copper and mercury also influence the thyroid gland, since these often accumulate in the thyroid gland when they are present in high amounts. Zinc, manganese and selenium are also involved in thyroid gland activity. The sympathetic dominance pattern has to do with the autonomic nervous system, and this is involved with activity and regulation of the thyroid gland. A calcium shell pattern has to do with cell permeability. This may also have a great influence upon thyroid hormone levels. All of the above may provide information about thyroid gland activity. I wish body chemistry were simpler, but unfortunately it is not. This is why simply checking the body temperature or checking T3, T4, reverse T3, and thyroid antibodies are not nearly enough to assess thyroid activity adequately, in my experience. For more about thyroid physiology and functioning, please read Thyroid Disease on this website. To get tested for thyroid hormones and for any other toxic chemicals, simply contact me directly and we can determine how toxic you are with a Hair Tissue Mineral Analysis (HTMA). A Hair Mineral Analysis will not only reveal the amount of toxic chemicals you have in your body but it will also provide a metabolic blueprint of your own unique biochemistry. From there, we will set up a nutritional balancing (NB) protocol designed just for you. By following a complete NB program, in most cases, your thyroid ailment will go away, along with other types of health conditions.